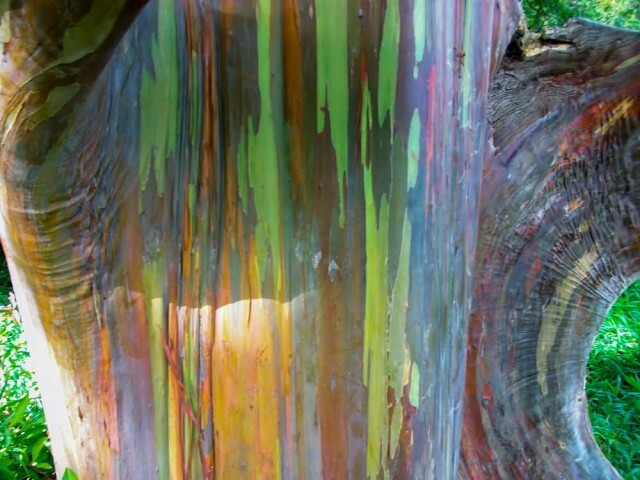 Rainbow Eucalyptus is a tall and most beautiful tree and its bark look like rainbow. 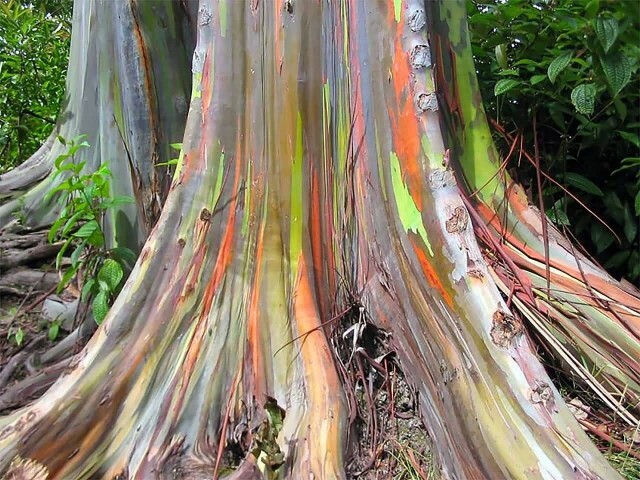 It is also known as Mindanao gum and rainbow gum. 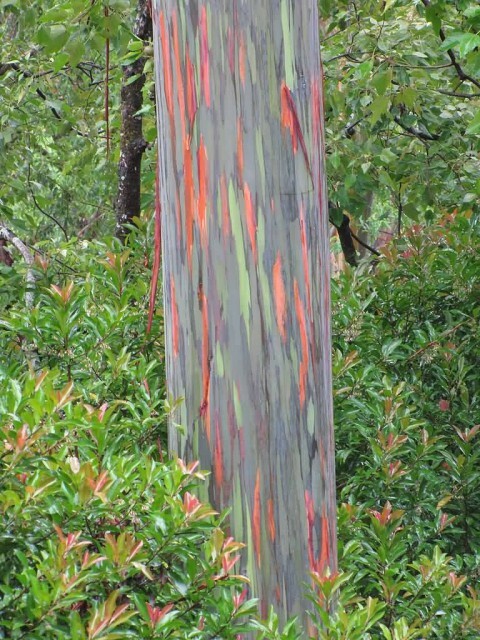 It is the only Eucalyptus species found naturally in the Northern Hemisphere. Its natural distribution spans New Britain, New Guinea, Seram, Sulawesi and Mindanao. They grow 6 feet wide and over 200 feet tall. 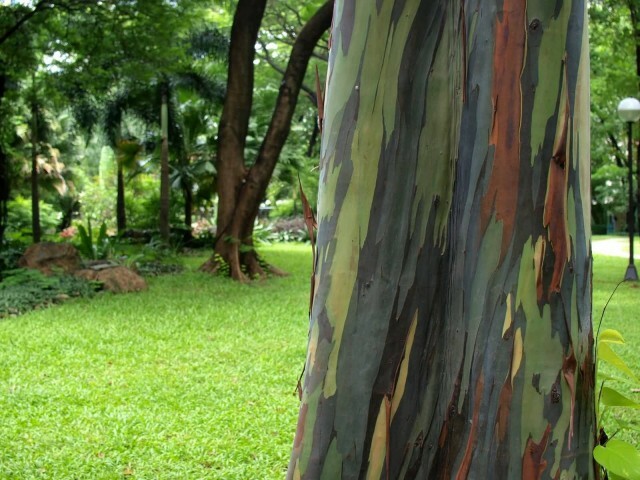 In the present day this tree is grown widely around the world in tree plantations, mainly for pulpwood used in making paper.